The Ministry of Labor has released the second set of guidelines providing detailed information regarding the new immigration law that was implemented on November 21. The normative resolutions released by the Ministry of Labor today outline requirements for the next set of eleven immigration categories within the new immigration law implemented on November 21, 2017. This is the last set of resolutions outlining the visa types but more are expected regarding change of status, family reunion and renewal rules, among other policies. Visa for special cases and other contingencies not provided by law (valid up to two years). Visitor and Work visas . Most Brazilian consulates are issuing Visitor and Work Visas, however applicants should contact their immigration professional for more information since this depends on the location. Work authorization. The Ministry of Labor is accepting work authorization applications. Federal Police Registrations for Work Visa holders are now being processed in all cities. Some Federal Police branches are still experiencing delays due to the transition. Foreign nationals who could not complete Federal Police Registration during the transition period will not be fined for not completing their registration within 90 days of arrival, per the new law. Consular websites. Not all Brazilian consulates have updated their websites with the new rules and document lists. Therefore, applicants should contact their immigration professional to discuss the requirements prior to applying. Fragomen is reviewing the new set of normative resolutions and will provide further details shortly. Fragomen in Brazil is Fragomen Brasil Serviços de Imigração Ltda., operating exclusively as an immigration consultancy and not as a law firm in Brazil. This alert is for informational purposes only. 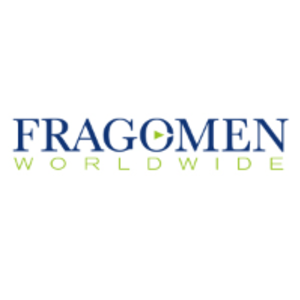 If you have any questions, please contact the global immigration professional with whom you work at Fragomen or send an email to brazil@fragomen.com.